NX Secure operates the secure warehousing division of The NX Group, offering a safeguarded warehousing solution and onward distribution services, specialising in high value goods. Our customers range across different industries, and we tailor the solution to encapsulate storage, value added services, and transport. We are able to offer multi-channel fulfilment services for your goods, discuss your requirements further to find out more. Our warehouse facilities are located in Northamptonshire, with close proximity to Leicester, Birmingham and the M1 networks, therefore we are in the prime location for the distribution of your goods. 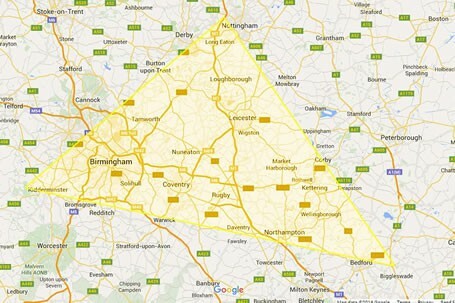 NX Secure operates three warehouse facilities located within Northamptonshire. Our primary facility is based at Crick, Northamptonshire, with security features in place, such as double gating, razor fencing, and 24/7 monitoring. This is ideally suited to high value goods that require additional security levels.We also operate our ecommerce services from this warehouse facility. Westgate Industrial Estate, Northampton, our second warehouse facility boasts an additional 30,000sq. ft. of space in a prime town location. This facility is suitable for ambient stock, including stock with a high pallet turnover. Also available: Outdoor storage. The dedicated Westgate warehouse team are on hand for all enquiries. Our third facility is also located at DIRFT, Crick – offering space suitable for palletised goods for short and long-term warehousing. All our facilities can be tailored to provide a solution suitable for your goods and requirements. With outside space also available at our Westgate facility. Discuss your requirements with the NX Secure team today! Concerned about Brexit? Stockpiling goods? We have warehouse space available for your goods! Goods stored in our warehouse facilities are safe and secure, providing peace of mind for our customers. All our warehouse facilities operate using a comprehensive Warehouse Management System (WMS) to provide customers with real-time information, such as inventory levels. This enables us to operate in an efficient manner. A key benefit of working with The NX Group is our extensive knowledge of delivering into retailers and Amazon Fulfilment Centres. Customers who choose our warehouse facilities benefit from the team completing bookings on their behalf. Industries we serve range from Beauty and Cosmetics, IT Resellers, Ambient Foods, Pet Foods and many more. The NX Secure team are all trained in operating the warehouse facilities, ensuring our customers receive the highest levels of service. The team are in regular contact with the main Transport Office, especially when customers utilise both services, to ensure bookings are efficient. The NX Group consists of warehousing, distribution and same-day courier services – providing the complete solution for our customers. Our distribution service is carried out using our own dedicated fleet, giving our customers peace of mind that their goods are safe in our hands. Situated in the ‘Golden Triangle of Logistics’ the warehouse facilities are in the prime location for warehousing and distribution. With close proximity to the major road networks throughout the UK, all onwards distribution is efficient and can be carried out on a next day basis for much of the UK. Discover more about the Golden Triangle of Logistics here.